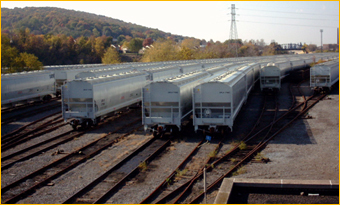 Railcar Storage - Lehigh Valley Rail Management LLC has over 1,600 railcar storage spots at Bethlehem and Johnstown, PA. 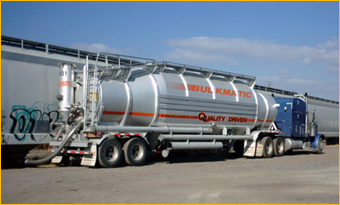 Many of our customers stage their empties with us knowing that they can be released from storage in a matter of hours and be headed for loading points that same day. Likewise, our storage in transit (SIT) customers position their shipments near the eventual customer then take advantage of our award winning service to have their shipments delivered to the interchange promptly saving valuable car days. Transload Yards - Lehigh Valley Rail Management LLC operates several transload yards where trucks transload material from railcar-to-truck and from truck-to-railcar. This allows customers without a rail siding to capture the low cost of rail transportation while still enjoying truck like delivery. 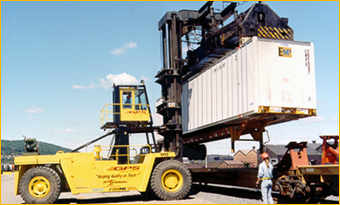 We also operate an on-site truck scale. 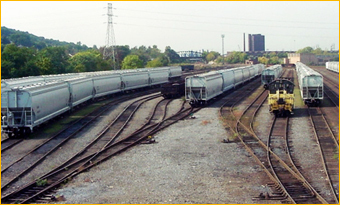 Intermodal - Lehigh Valley Rail Management LLC operates an intermodal terminal in Bethlehem, PA. The terminal consists of two adjacent areas for handling conventional intermodal (TOFC/COFC) and Triple Crown Services (Roadrailer equipment) with a total of over 4.6 miles of track. There is 9,000 feet of track for conventional intermodal and over 14,000 feet for Triple Crown Services loading and unloading. The terminal has a total of 1,200 trailer parking spaces with gate facilities and a truck scale. The terminal is located less than 1 mile off Exit 67 of Interstate 78 and handles multiple inbound and outbound trains, seven days a week, with a capacity well in excess of 180,000 lifts/year. Switching - In 2010, Lehigh Valley Rail Management won the prestigious “Norfolk Southern General Manager’s Award” for the Harrisburg Division. The Lehigh Valley Rail Management LLC management team has hundreds of years of experience in providing switching services. Multiple switches per day at our online customers facilities is not unusual. Our Bethlehem Division (LVRB) provides service to customers located within the 1,600-acre Bethlehem Commerce Center. LVRB will provide rail service to future property owners and tenants of the Bethlehem Commerce Center, a 1,000+ acre brownfield site currently being redeveloped by Lehigh Valley Industrial Park (LVIP) as LVIP VII, visit http://www.lvip.org and a 450 acre site being developed by Majestic Realty Co.; contact Skip Bailey at sbailey@commercelp.com or visit www.majesticrealty.com.